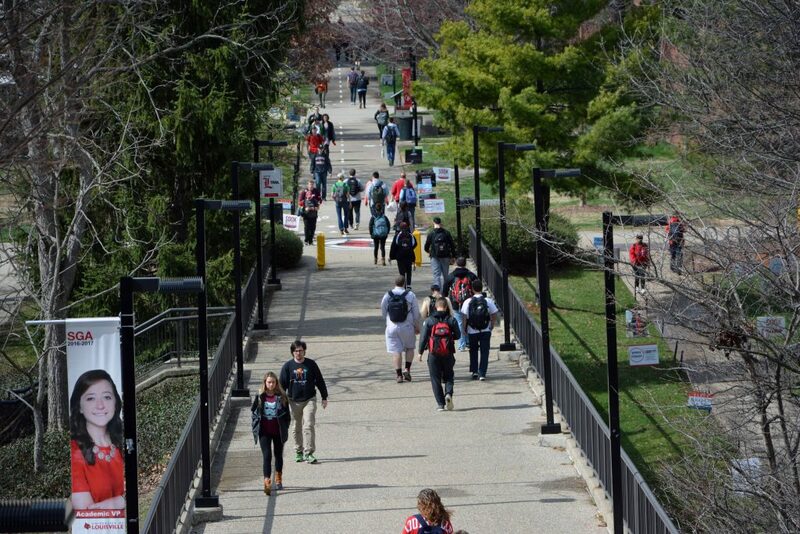 The U of L Faculty Senate and a professors group said a bill under consideration in Frankfort threatens their jobs and academic freedom. They met March 30 to discuss their concerns surrounding House Bill 200. The bill could permit trustees to eliminate degree programs due to budgetary constraints and terminate tenured faculty with only 10 days notice. “The attack is not an attack on academic freedom, but on the autonomy of the university to determine which programs need to operate and with what sort of faculty,” Interim Provost Dale Billingsley said. Faculty are concerned this could lead to the removal of controversial majors like Pan-African Studies or Women and Gender Studies under the guise of budgetary constraints. “This is a movement led by outsiders to decide what they want higher education to look like,” Pan-African Studies professor Ricky Jones said. Susan Jarosi, American Association of University Professors President, said she believes the board of trustees should take a stance on the issue. “I think it’s really important for us to push our board of trustees to craft their own resolution,” she said. Trustee and Faculty Senate Chair Enid Trucios-Haynes said the board should not get involved at this point. “I think if we drag U of L into it then we jeopardize our own protections and our own Redbook, which are far more extensive than any other university across Kentucky,” she said. Trucios-Haynes said the board was unlikely to take a firm stance on this issue. “I’m just telling you they’re all lawyers. They’re not going to march that far,” she said. Jones said U of L faculty and staff should be taking steps to fight this bill. “Even if it doesn’t effect U of L, which I think it does or will, we would be absolutely morally wrong to abandon our colleagues around this state in higher education because we think that we’re safe,” he said. U of L professor of philosophy David Owens said HB 200 is detrimental to professors and students during the faculty assembly meeting later that day. “(Tenure) ensures academic freedom for faculty. What that means is it allows faculty to pursue the kind of research and scholarship that they consider valuable. It lets the questions drive the research,” Owens said. Owens said the development of academic freedom in the early 20th century combated political pressure from legislators and boards of trustees attempting to direct research in particular directions. “Tenure protects faculty and allows faculty to pursue the research that the science and the scholarship dictate,” he said. Owens said weakening or removing tenure makes it difficult to attract and retain top-level scholars, which harms students’ education. Trucios-Haynes released the Coalition of Faculty Senates and Leaders’ statement in opposition to the legislation. “Shortsighted strategies designed to achieve immediate financial savings, such as eliminating programs, their supporting staff and faculty, including those with tenure, will cripple universities as engines for growth and development in our communities. The devastating impact on our students and state will reverberate for decades to come. The senate bill will do more harm, and devalues universities, their faculty and public education,” the COFSL statement said.